White Dwarf Surprise — Again! Authors: Keaton J. Bell, J. J. Hermes, M. H. Montgomery et al. The Kepler spacecraft, launched in 2009, is best known for its monumental contributions to the science of exoplanets. But the unique observing technique of the space telescope, staring at thousands of stars all day, every day for months at a time, has led to surprising new discoveries in many fields beyond exoplanets. 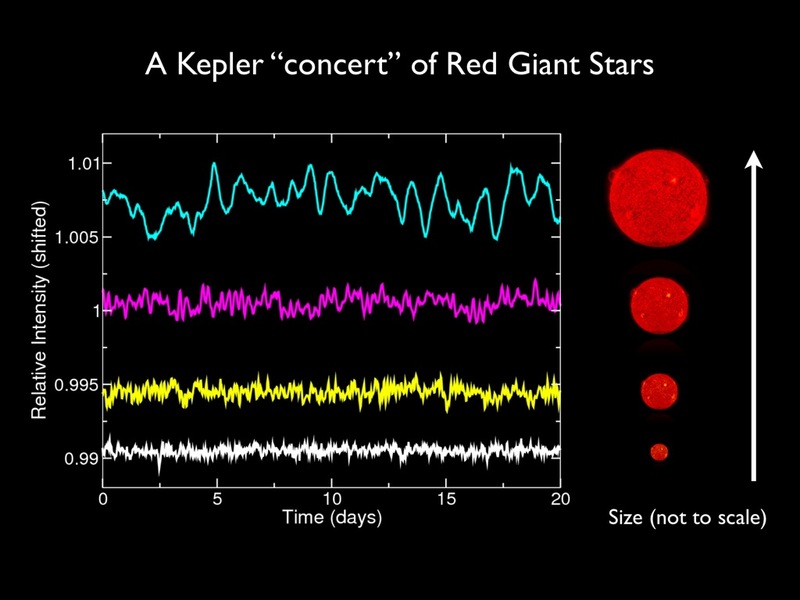 Nearly a year ago, Astrobites reported on one example of Kepler’s unexpected findings: A pair of white dwarfs that were “outbursting”, becoming as much as 20 percent brighter every few days before quieting down again. Although variable white dwarfs have been studied for decades, only the continuous data obtained by Kepler provided the coverage to spot these short, unpredictable events. Today’s paper adds another two outbursting white dwarfs, and begins to explore the reason for this hitherto unobserved behaviour. White dwarfs are the leftover cores of stars that have run out of hydrogen fuel. More than 90 percent of stars, including the Sun, will end their lives this way, a glowing ember roughly the size of the Earth. White dwarfs start off incredibly hot, millions of Kelvin, but with no more nuclear reactions taking place, they slowly cool down over many centuries. As they cool past the (roughly) 12500 K mark, something odd happens: The white dwarfs begin to pulse, changing in brightness by about one percent every few minutes. This carries on until, millions of years later, they cool to below around 10600 K, and the pulsations stop. The intriguing aspect is that those temperatures were not predicted by theoretical models of how the interiors of white dwarfs change as they cool, but come from observations. 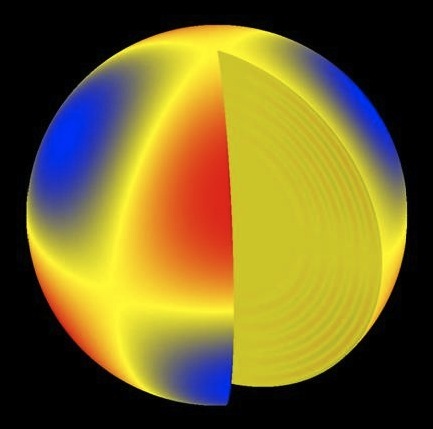 Although those models can reproduce the temperature at which pulsations start, they also predict that the pulsations should last much longer, enduring until the white dwarf reaches just 6000 K. So why do the pulsations suddenly stop? Bell et al. suggest that the new class of outbursting white dwarfs may hold the answer. Figure 1: Kepler observations of the white dwarf EPIC 211629697. Each point is a measurement of how much light is reaching the telescope from the white dwarf, with the black data being taken every 30 seconds and the red every thirty minutes. The grey regions show the outbursts, where the brightness of the white dwarf increased by up to 14 percent. The right-hand-side figure shows an enlarged version of one outburst. The two new outbursting white dwarfs were observed by Kepler in mid-2015. Over the roughly eighty days that each white dwarf was observed, the amount of light coming from them made sudden jumps (Figure 1), 15 times in the case of the first white dwarf observed and 33 times for the second. The outbursts were spaced seemingly randomly apart, and implied increases in brightness of up to 14 percent. Figure 2: A collection of white dwarfs, comparing their surface temperatures (x-axis) and gravities (a proxy for the mass, y-axis). The blue and red lines show the hot and cold boundaries between which white dwarfs have been found to pulsate. The grey crosses show white dwarfs observed with Kepler that do not pulsate, yellow dots are Kepler white dwarfs that do pulsate, and blue dots are other pulsating white dwarfs. The four red squares are the outbursting white dwarfs, with a fifth candidate shown by the orange triangle. Although these white dwarfs are interesting in themselves, being only the third and fourth examples of what was, just a few years ago, an unknown phenomenon, the authors find that they become even more revealing when compared with other white dwarfs. Figure 2 compares the surface temperatures and gravities of the four outbursting white dwarfs (red squares), with those of other white dwarfs, both pulsating and not. All four of the white dwarfs are found near the cool end of the temperature range where white dwarfs pulsate—exactly the place that theoretical models find difficult to predict. The authors suspect that the two behaviours are linked, with the emergence of outbursts at low temperatures leading to the cessation of pulsation soon afterwards. However, more of the outbursting white dwarfs are needed to confirm this link, as the similar temperatures of the four discovered so far could just be coincidence. With Kepler’s mission recently extended into 2018, new discoveries should not be too long in coming.